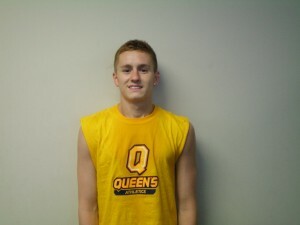 The 31st Member of the Soccer Fitness 20 MPH Club, Michael successfully performed 2 separate, 4-second running bouts at exactly 20 miles per hour on Friday, July 29, 2011. A member of the Sigma FC Academy, Michael is preparing for his first year playing on the Men’s Varsity Soccer Team at Queen’s University this fall. Having trained with Soccer Fitness for the entire month if July, 2011, we are expecting Michael to have an immediate impact on the team this season. We at Soccer Fitness would like to congratulate Michael on his accomplishments, and wish him the best of luck in his future soccer career.